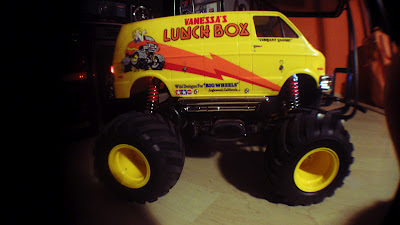 the huge Tamiya Lunch Box from 1987! 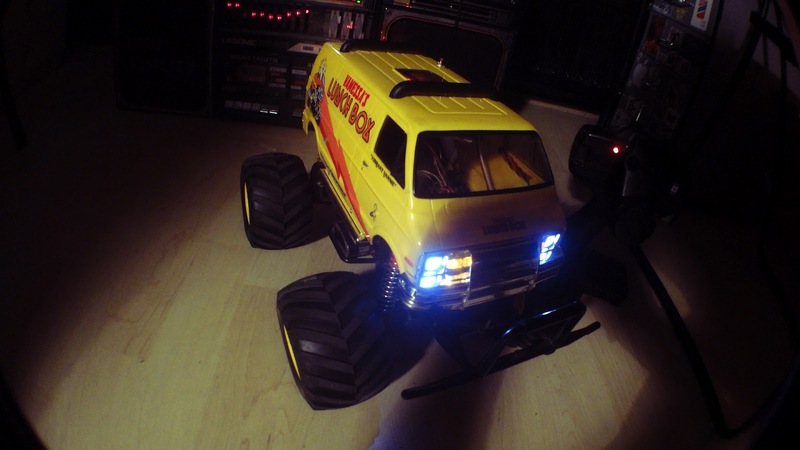 This model is an RTR one (ready to run) electric 1/12 dodge monster van. The japanese tamiya rc company made it in 1987 and its still popular nowadays. 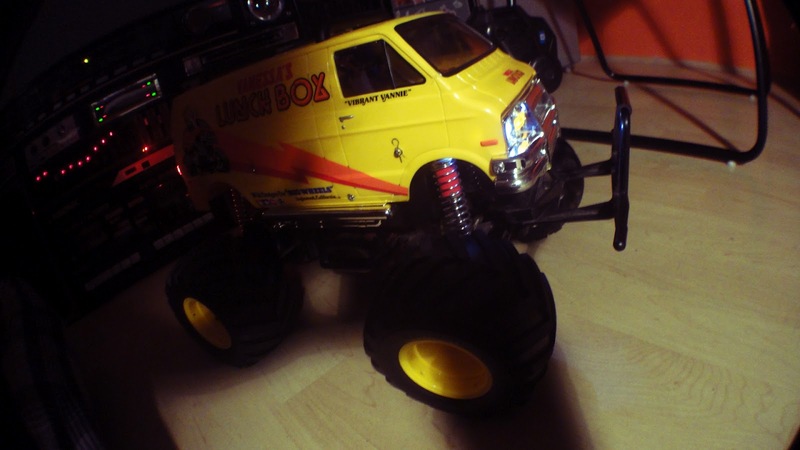 The exact size: lenght 38. 5 width 29 height 22,5 cm weight 1.56 kg. 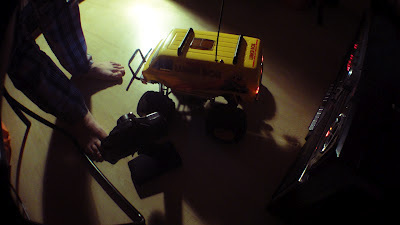 The model without lights, I made it from rc car flashing light system. 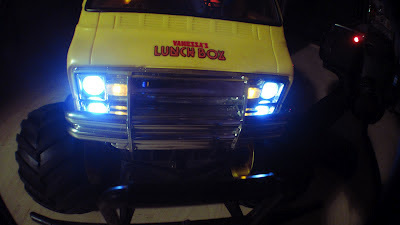 I cut a small plastic cover for the index and the rear lights from a broken real light. 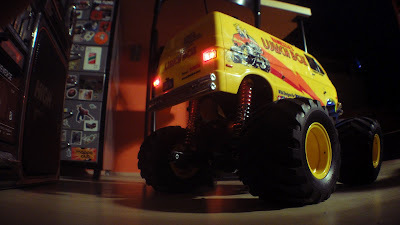 He runs something like 35-40 km/h and at the start he can stand up on two wheels which is really awesome!